On the Run: Giving my Sewing a Workout! This seems to be the year of making things I never thought I’d ever attempt to sew for myself – things like bras, jeans, and bikinis. 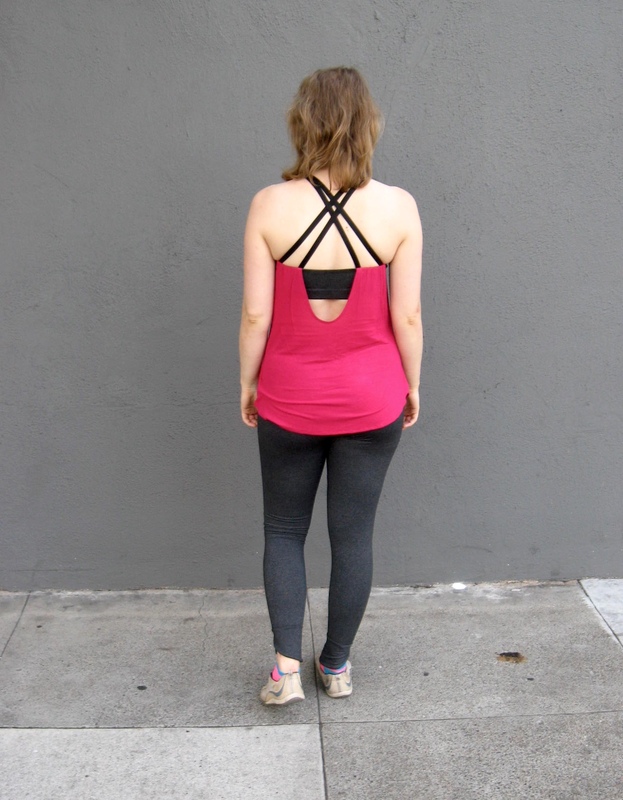 Well, today I have a new addition to that list – workout clothes! Now that we live in such a mild climate year-round, I finally decided to bite the bullet and start running. While I have no ambitions to be a marathoner (I’ve told myself that 10K is a goal someday…maaaaaaybe…but no more than that! ), I’ve actually grown to really enjoy running shorter distances (I’m up to a 5K at this point), especially since that often involves running through parts of Golden Gate Park :). Since my workout clothes were getting…errr…a workout, I decided it was time to restock my fairly tiny athletic-wear wardrobe. 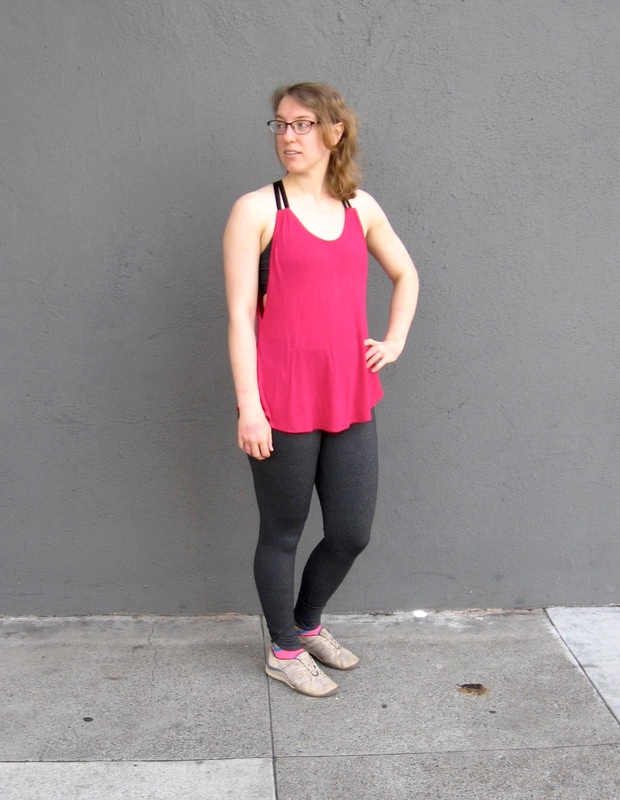 I started out making the Seamwork Manila leggings using an unlabeled technical fabric I found last summer while discount fabric shopping in San Jose (I’m pretty sure it’s some kind of poly/lycra/nylon blend). The pattern came out pretty well, although I found the cuff at the bottom to be quite snug, so next time I’ll probably grade up a size at the ankle. I didn’t think I had particularly beefy ankles, but maybe I do! I also need to add about an inch to the back at the waist to account for my buxom bum. The top especially has gotten a lot of wear, and both have held up great so far to the demands of movement, sweat, and washing. 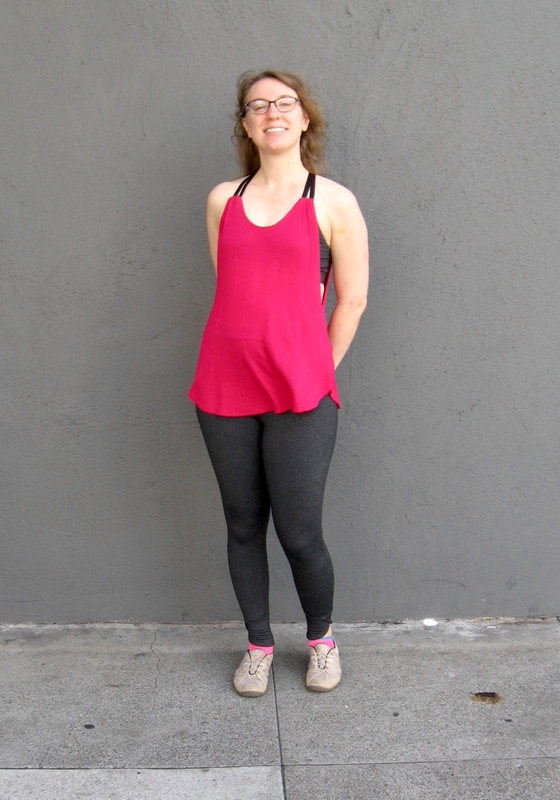 I’m really looking forward to making more activewear in the future, especially now that Tasia has come out with her own line of workout clothes at Sewaholic. I already have the fabric and patterns for those – so stay tuned!